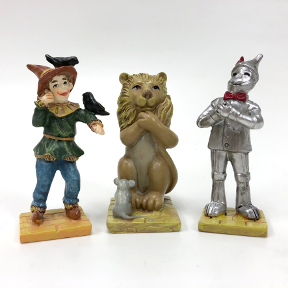 Polyresin Mini World of Oz Lion, Scarecrow & Tin Man Garden Décor. 3 piece set of Wizard of OZ enchanting characters. Experience the magic of a Mini World Garden.